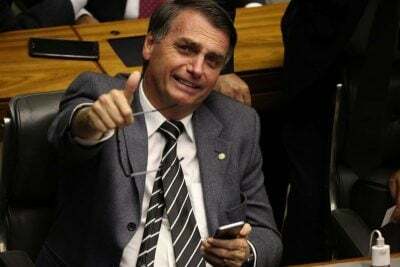 The far-right president pushes forward the most ambitious plan to privatize public infrastructures in Brazilian history. Brazil’s President Jair Bolsonaro will auction Friday contracts to operate 12 airports, a measure which is expected to raise about US$921 million in [so-called] private investments. The auction will be carried out at the Sao Paulo Stock Exchange and concession contracts will be valid for 30 years, according to the National Civil Aviation Agency (Anac). At least 10 companies submitted on Feb. 12 auction proposals for the 12 airports, public infrastructures which account for 9.5 percent of the domestic market and manage almost 20 million passengers per year. According to the local newspaper Terra, among the interested companies are the Brazilian Patria, Socicam and Construcap; the French Vinci and Aeroports de Paris; the Swiss Zurich AG; the Spanish Aena; and the German AviAlliance and Fraport. Some of these foreign companies already have a presence in Brazilian airports. For instance, Zurich manages the Florianopolis and Confins contracts; Vinci runs the terminal of Salvador, and Fraport operates in Porto Alegre and Fortaleza airports. In order to perform the action, the Brazilian Federal government distributed the 12 airport terminals in three privatization packages. The Northeast group, which is the most attractive due to its intense flow of tourists, comprises airports in Recife (Pernambuco), Maceio (Alagoas), Aracaju (Sergipe), Juazeiro do Norte (Ceara), Joao Pessoa and Campina Grande (Paraiba). The Midwest group includes airports in Cuiaba, Sinop, Rondonopolis and Alta Floresta, all of which are in the State of Mato Grosso and are closely related to agribusiness activities. Finally, the Southeast group oversees two terminals: Vitoria (Espirito Santo) and Macae (Rio de Janeiro). The Brazilian Federal government will also action 22 more terminals in this fiscal quarter, as reported by Terra. This new privatization deal will include terminals in Foz do Iguacu, Navegantes, Londrina, Joinville, Pelotas, Uruguaiana, Bage, Manaus, Porto Velho, Rio Branco, Boa Vista, Cruzeiro do Sul, Tabatinga, Tefe, Goiania, Sao Luis, Teresina, Palmas, Petrolina and Imperatriz. The airport privatization package may even increase in the future as Bolsonaro’s administration continues to talk with Brazilian local authorities to convince them to enter into its concession contracts plan. Under Michael Temer administration (2016-2018), more than 50 infrastructure privatization projects were planned, although they were not finalized. These proposals were inherited by Bolsonaro, who assumed power on Jan. 1, 2019 and vowed to privatize “everything possible” so as to downsize the Brazilian State.